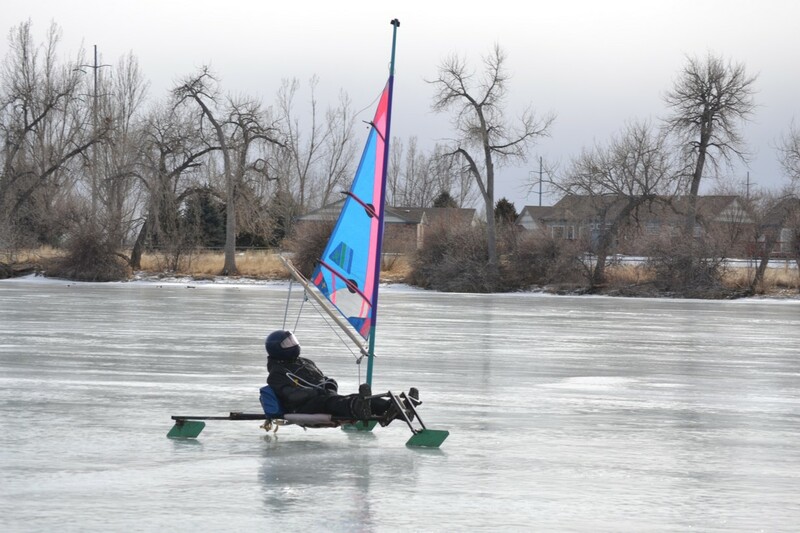 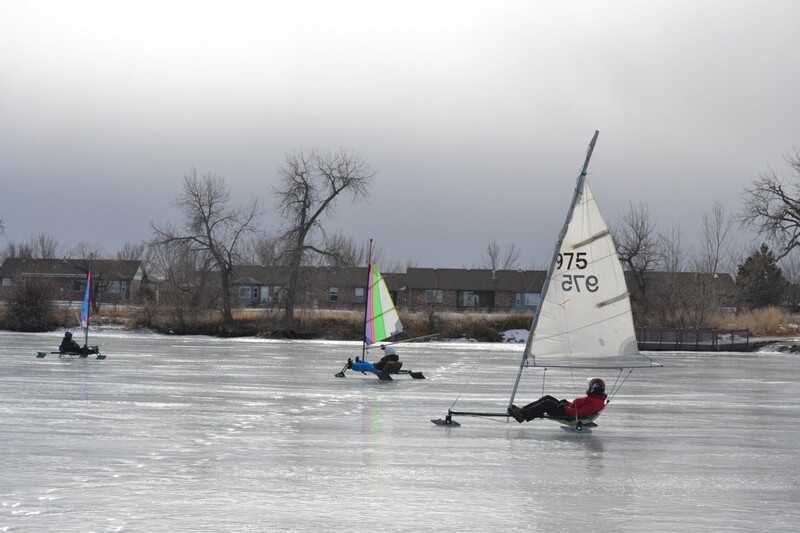 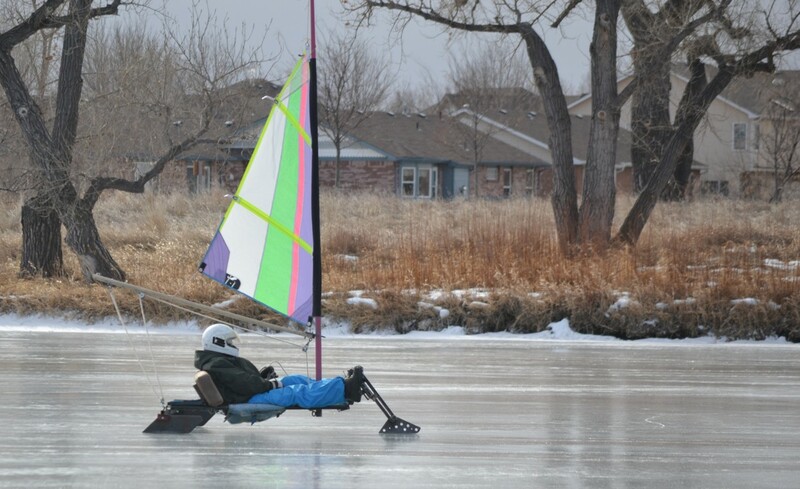 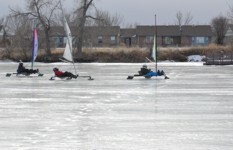 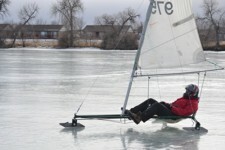 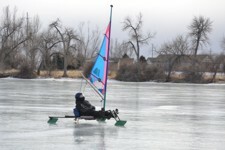 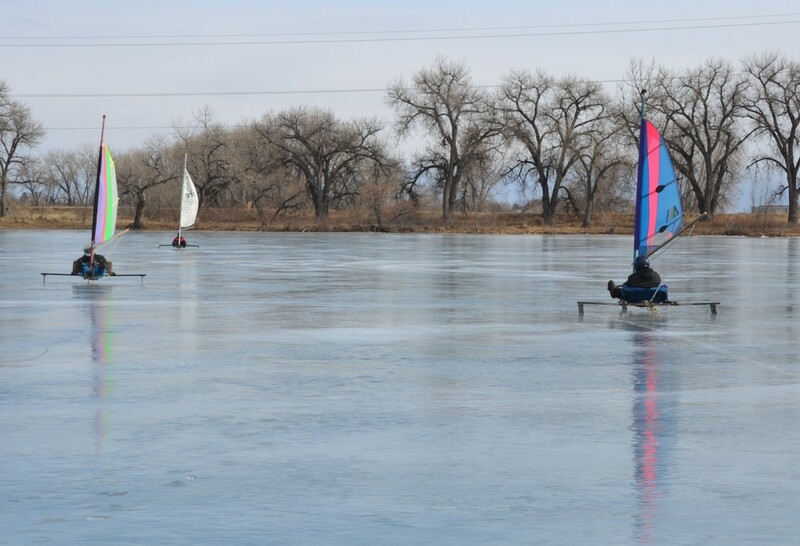 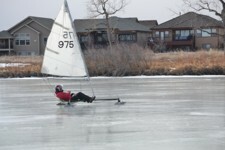 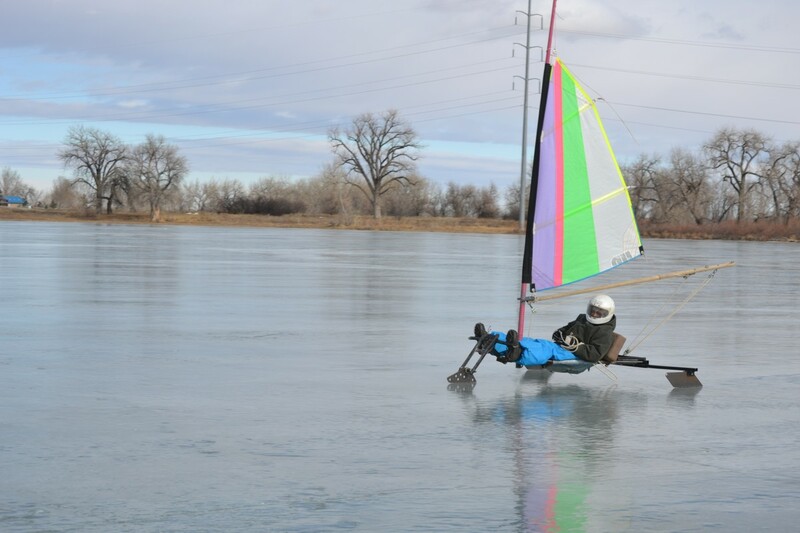 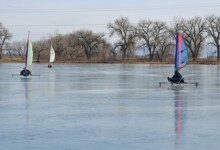 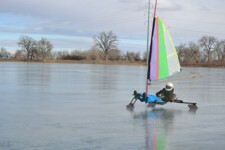 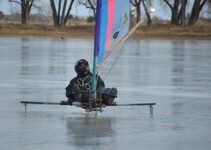 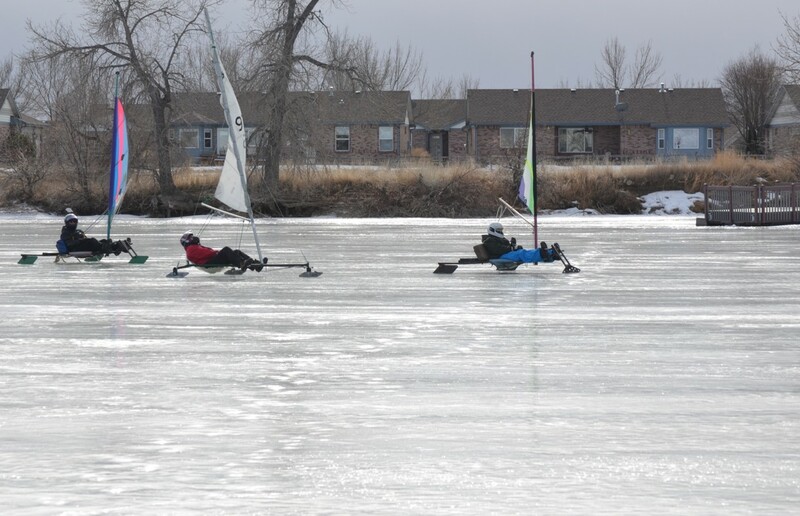 A day of great sailing on Heinrecy, near Boyd Lake State Park. 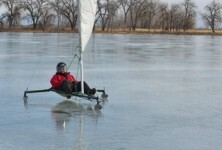 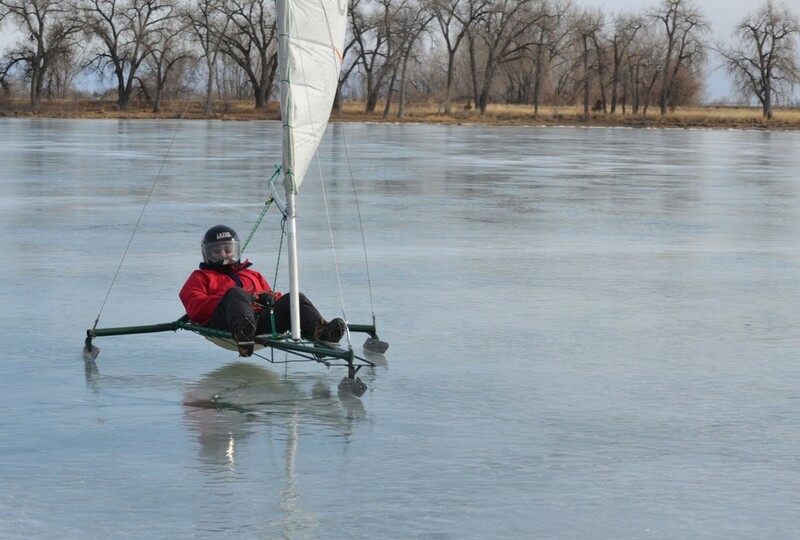 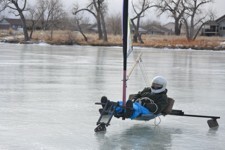 Rick, Dan on his Skimmer, Dave trying out his new "Combat Sailer". Dan's wife was brave enough to stand out on the ice and get these shots.